Did you know Dr. Seuss named The Berenstain Bears? 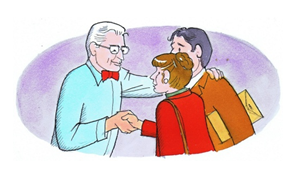 Ted Geisel, also known as Dr. Seuss, was Jan and Stan’s editor for their first books. Stan and Jan explain in their biography Down a Sunny Dirt Road: “When Ted showed us our second book, the cover looked like it was supposed to. 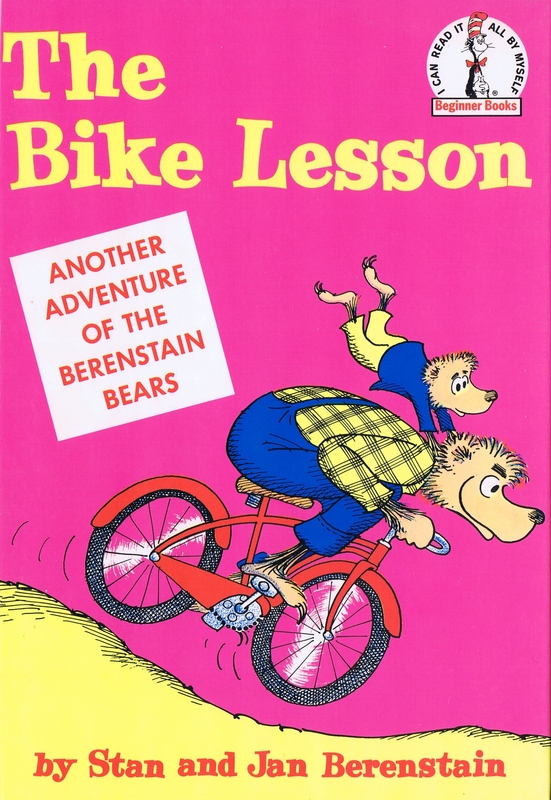 There was Papa riding downhill with Small Bear hanging on for dear life, with the book’s title in big yellow letters. But something new had been added. In a dropped-out white box, it said, ‘Another Adventure of the Berenstain Bears.’ We were puzzled. It was very nice. But we didn’t quite get it. We asked Ted what it meant. Do you recognize the voice of Brother Bear and wonder who it is? 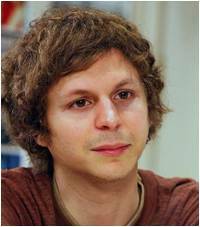 It’s Michael Cera – Michael is a Canadian actor best known for his roles in Arrested Development, Youth in Revolt, Superbad, Scott Pilgrim vs. the World, Nick and Norah’s Infinite Playlist and Juno. He was the voice of Brother Bear in the 2003 television series. Do you know two women who voiced Mama Bear? 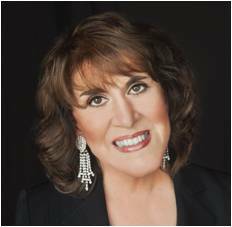 Ruth Buzzi – Ruth is an American comedienne and actress in theater, film, and television. She is best known for her performances on the comedy-variety show Rowan & Martin’s Laugh-In from 1968 to 1973. Ruth also played many other roles including Freaky Friday, Cactus Jack, and Sesame Street. She was the voice of Mama Bear in the 1985 television series for which she was nominated for a daytime Emmy. Camilla Scott – Camilla hails from Toronto, Canada. 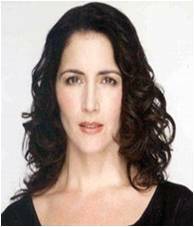 She is known for her work in 3 Men and a Baby, Tommy Boy, Due South, and Guiding Light. She performs regularly in theaters in both Ontario and New York and performed in: Mamma Mia!, The Pajama Game, Three Days of Rain (also co-produced this show), Aladdin, Jack and the Beanstalk, Crazy for You, Shenandoah, and Evita. Camilla was the voice of Mama Bear in the 2003 television series. Did you grow up singing the theme song from the Berenstain Bears= television show? 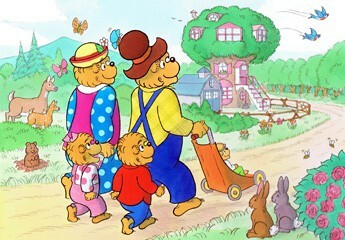 Somewhere deep in Bear Country lives the Berenstain Bear family. They’re kind of furry around the torso. They=re a lot like people, only moreso. The bear fact is that they=re just like you and me. The only difference is they live in a tree. The Berenstain Bears will find a way through. Mama, Papa, Sister and Brother will always be there for each other. The bear fact is that they can be sweet as honey. Sometimes you’ll find they might be just plain funny. The Berenstain Bears. The Berenstain Bears. Do you know who performed the song? Leanne Womack – Leanne is an award-winning American country songwriter and singer. She has won Country Album of the Year and Female Vocalist of the Year and known for many, many songs including I Hope You Dance. I didn’t realize the Bike Lesson was the second book! That one is one of my son’s favorites. We read it just last night! And how cool that Ted Geisel was involved! Glad you found out some “new things” from our Blog! Thanks for reading it! And special *bear hugs* for your son! With Arrested Development just out new on NetFlixs, it is fun to see the Bears still in the limelight where they belong! My 22 and 27 year old Bear and Arrested Development lover will enjoy that bit of triva. Wow, didn’t know these facts. Seriously, Leanne Womack! Grew up singing that song and now my boys sing it. Had no idea it was her. Catchy tune. 🙂 Thanks for sharing all these interesting facts. You are bear-y welcome! Thanks for taking the time to read our blog! Thanks for the facts. Big fan of Berenstain Bears. I’ve been a reader of the Berenstain Bears for 18 years. My first book I got when I was 5 years old. The book was The Berenstain Bears Learn About Strangers. Then my collection grew over the years. I love how the books have a lesson hidden in each of them. The illustrations are beautifully well done! Thank you so much for your very kind comments and for being such a wonderful fan! It is my pleasure and honor to be a fan! Hi Judy, Thank you for your inquiry. We do not know of a collectors guide for bear products. We talked with Mike Berenstain and he is certain there was never a Berenstain Bears product such as you are describing with a tin train and plush bear conductor. We are sorry we are not being very helpful!